Mosquito Control Powder Springs, GA | Bug-Off Exterminators, Inc.
Our technicians are registered with the Georgia Department of Agriculture, and they undergo training on a regular basis in order to retain their certification. Our company is a member of the Home Builders Association of Georgia and the Georgia Pest Control Association. 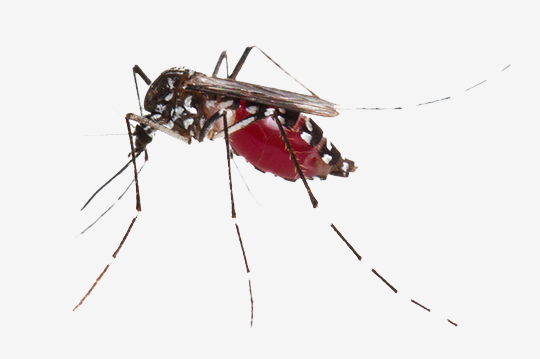 We're constantly providing mosquito control to both residential and commercial properties. We work in homes as well as in commercial properties like schools, doctors offices, warehouses, retail stores, and restaurants. You can trust us to tailor our service around the unique features of your property. We'll spray your shrubbery and tall grasses with a residual insecticide, which is an insecticide that not only kills on contact but also remains effective for several weeks. We can also install mosquito traps that prevent the eggs and larvae from growing into adults. You might not think that the mosquitoes in your yard are a big deal, but it must be borne in mind that they'll always be there every spring and summer unless you get mosquito control. If left alone, they'll create more breeding grounds until your home is swarming with mosquitoes. If the pests are becoming too much of a nuisance here in Powder Springs, Georgia, consider what Bug-Off Exterminators, Inc., has to offer. We can eradicate the current infestation, prevent mosquitoes from growing into adults, and even educate you on the preventative methods. To start, one of our technicians will come over and inspect areas with standing water, such as small pools, rain collection system, and birdbaths, because these are where mosquitoes lay their eggs. We'll also advise that you remove anything that can collect water, such as a birdbath. Once we identify all the breeding grounds, we'll attack the problem and exterminate the life cycle stages: the egg, larvae, pupa, and adult. We can install a trap that will kill these immature mosquitoes before they grow any further. 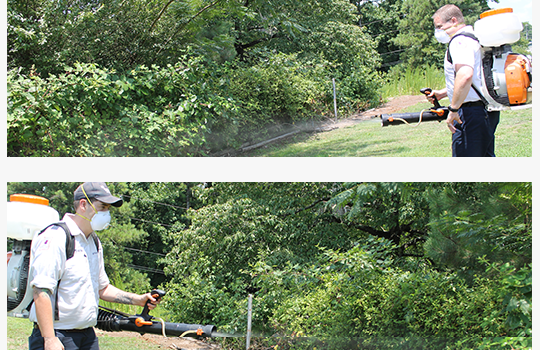 Using a leaf blower backpack sprayer, we'll spray our residual insecticide over shrubs, low branches, tall grasses, and other shaded places. Rest assured that the pesticide won't harm your lawn or your flowers. We recommend a monthly treatment because the insecticide will break down in the weather. The traps are great because they continue to exterminate the eggs and larvae between services and are effective in bad weather. In the meantime, you may want to cut down any tall grasses or weed overgrowth because mosquitoes from abroad may migrate to these areas. Give us a call because we've been serving clients in Powder Springs and the surrounding regions since 1986. We'll send out a technician to your home at a time that's convenient for you. In no time at all, you'll be able to enjoy backyard BBQs without having to swat at pesky mosquitoes.